If you’ve noticed any of these signs of foundation failure, it may be time to contact Rapid Foundation Repair for more information on foundation repair solutions. When a foundation begins to settle, many of the problems seen above begin to occur. Because of this, extensive foundation correction may be necessary. 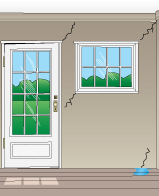 Rapid Foundation Repair can inspect your home to determine whether the foundation is sinking or not. If it is, there are multiple repair options available. The most common solution for foundation failure is underpinning. Underpinning involves installing steel push piers or helical piers beneath the existing walls of your home. These piers will lift and stabilize your foundation, preventing future sinking and bringing the foundation back up to its original position. Underpinning is a durable, efficient repair option that will repair many of the problems you may be experiencing, like ceiling cracks. Ceiling cracks may also be resolved by using wall anchors. Wall anchors are commonly installed to repair bowing or leaning walls. They are placed on the basement walls and in the soil directly outside, which allows them to distribute the weight of the soil evenly and pull the walls back up to a straight position. This often helps correct ceiling cracks. 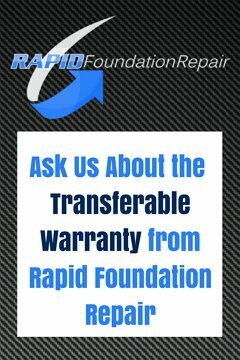 If you would like more information on repairing ceiling cracks in South Dakota, contact Rapid Foundation Repair. We are happy to provide you with quality foundation repair, basement waterproofing, and crawl space encapsulation services!